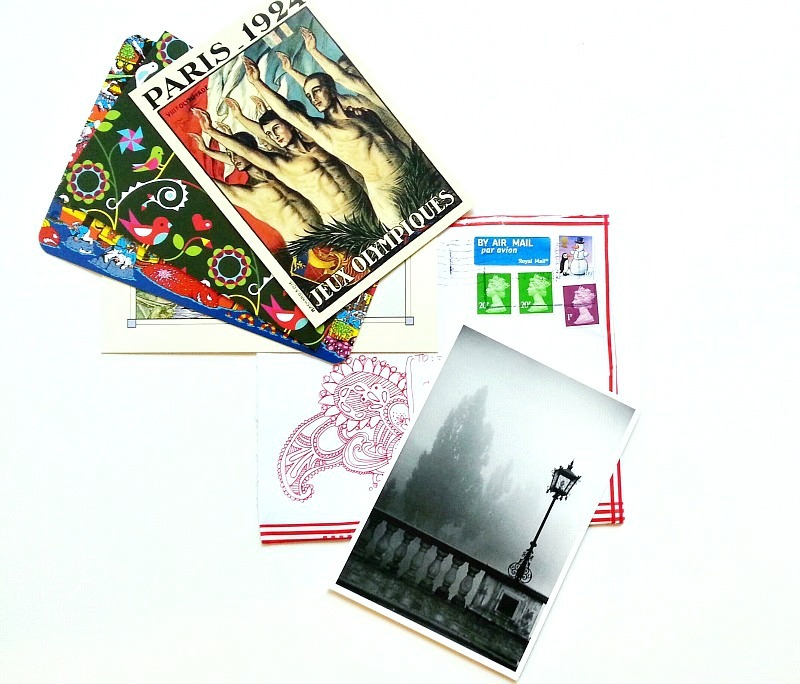 I've been receiving some pretty unique postcards via Postcrossing lately. All of them are so nice with such kind words thoughtfully written on the back. ﻿And then these postcards came in the mail a few weeks back. 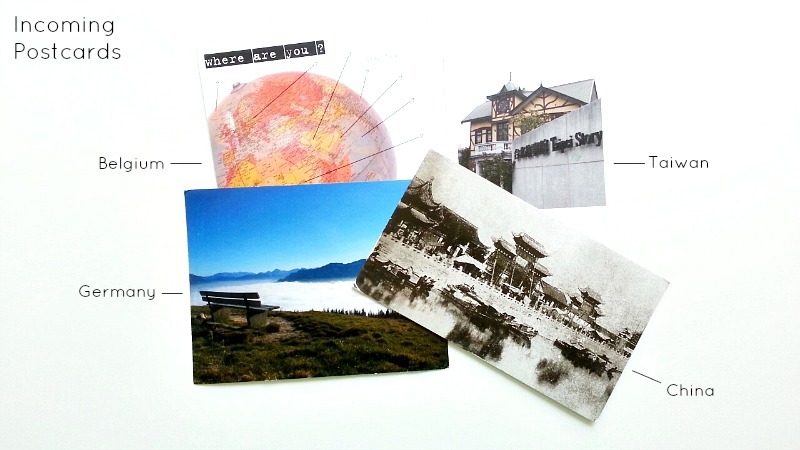 Some thoughts were jotted down on these 5 postcards. Her doubts and worries were thought provoking and appealed to me in such an inspirational way. Sometimes we just need someone to hear us and let it all out, and I was happy to be that someone. I look forward to working on her corresponding package. I hope it'll make her day that much better. this is pretty neat! love that people still use snail mail and handwritten notes!